Today we take a deeper look at ten herbal tea myths! Sometimes, it is just things we hear or never thought to ask. We take for granted that the herbs we put in our teacup can’t hurt us. "Everyone at the office is drinking this tea. It must be good!" "It’s a natural herb so it has to be safe." Have you ever wondered exactly how much do you know about the herbal tea you are drinking? What is truth and what is myth about herbal teas? 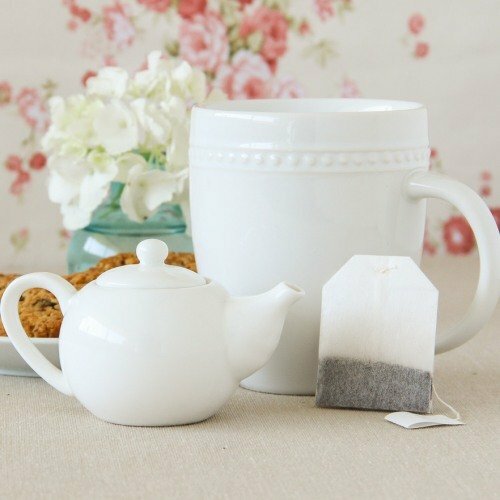 ...prepare to have ten herbal tea myths debunked! Herbal tea is made from REAL tea. Surprised? Well, don’t be. This is a common misconception, so let’s take a closer look at what is inside your mug. Real teas come from the tea plant Camellia Sinensis, whilst herbal teas are in truth infusions or tisanes made from herbs, namely dried or fresh leaves, flowers, grasses, barks, roots, seeds or fruits. You pour hot water over the herbs in the way you do with tea leaves. So why not call it tea, too? And a lot of times we do blend herbs with tea leaves. It’s just easier. Now that you know the difference, come and reap the benefits from all different types of tea. Herbal teas do not contain caffeine. True, but with a few exceptions. Yes, most herbal teas are caffeine free and you can drink them without worrying if you will stay up all night. However, be aware that guarana tea and yerba mate tea do contain caffeine. In fact, yerba mate has almost as much caffeine as coffee! What to look out for? Tea blends and flavored teas! Are you a fan of fruity tea? If you are, you must be careful because most of the times these blends or flavored teas are nothing more than fruit flavor mixed with real tea leaves, which do contain caffeine. So read labels and take a look at how much caffeine you may be ingesting in our caffeine in tea page. Herbal teas are natural so they are safe. Despite the innumerous health benefits they offer you, some herbal teas do have side effects that may lead, for example, to allergic reactions, namely shortness of breath, chest pain, hives or swelling. Other herbal teas may interact with medication you are taking, limiting or enhancing dangerously their effects, so always check with your doctor prior to drinking tea medicinally to confirm if it is suitable for you. Example: Some teas, like arnica tea, cannot be ingested due to its toxicity levels. It is natural, but can only be used on your skin. So next time you are planning on drinking a new tea, read the package careful and make sure it is the right tea for you. Herbal teas are safe for pregnant and breastfeeding women. Be careful moms and moms-to-be! Not all herbal teas are safe for you and your little one! 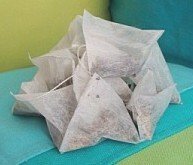 It’s just that there isn’t enough evidence to support if certain teas are safe or not. Some teas, like parsley tea, may stimulate the uterus. So stay on the safe side. If a tea is said to regulate your period, you should cross it from your list for now. There is some hope! Dandelion tea, nettle tea and rosehip tea are considered safe herbal teas to drink while pregnant and are considered quite nutritious. Still, always make sure you see your doctor before drinking herbal teas at this stage. You can drink as much as you want of an Herbal tea. Most herbal teas don’t have caffeine so it’s tempting to drink as much as you can to get the promised health benefits faster. However, as much as you love drinking tea, don’t overdo it! Drinking too much may cause unwanted side effects. Let’s take hibiscus tea for example. This herbal remedy is great to lower blood pressure, but too much of this tea may cause faintness and drowsiness! Senna tea can be cleansing. Take too much and it can cause serious dehydration. Therefore, it’s best to limit your intake to 3-4 cups a day, or follow the recommendations given. Enjoy your tea while staying healthy! Make Herbal Teas a part of your life! When you purchase tea bags, make sure you read the description properly. Brands tend to advertise their blends highlighting the main herb. Example: Chamomile for soothing teas, ginger for digestive teas. More often than not, other herbs will be included for flavor and for enhanced benefits. Reading the labels will let you know if all herbs are safe for you, if you are getting the real thing or just a flavoring agent added to your tea. Most of us think Rooibos tea is a real tea. Everywhere we go we see teas being split into White / Green / Oolong / Black / Rooibos / Herbals. Add to it the fact that it is also called Red tea or Red bush tea by many people. So is it tea or not? 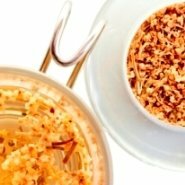 No, Rooibos does not come from the tea plant, but in fact it is made from the herb Aspalathus Linearis, that grows in South Africa and was brewed by many as a replacement for actual tea. 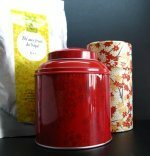 In the West, we call it red tea because of the nice red color of both the plant and the tea. But did you know that in China, red tea is a whole different kind of tea? Have a look at our section on red tea in the page Facts About Tea and find out more. No. It’s not always just boiling water and waiting. 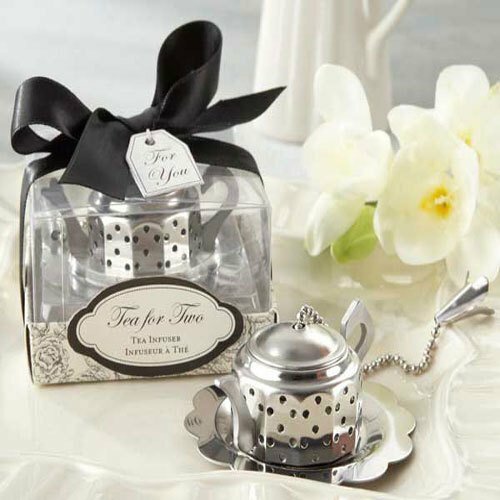 While some teas only require a few minutes to infuse, others need hours of overnight steeping to get the best of them! Let’s take hops tea for example. If you are looking for a mild cup of tea, let it steep for 10 minutes but if you wish something stronger, let it rest for four hours. If you are in the mood for a simple quick steeping, why not brew a cup of chamomile tea and enjoy its calming effect? Just add boiling water and wait a few minutes. Now, for something totally different, try barley tea! It’s a complete different experience as it requires roasting of the grain. It cleanses the blood and helps you digestion. Sounds interesting, doesn’t it? Give it a try! Not everything that is good for you tastes well, and with herbal teas this is truer than ever. However, this all depends on your own tastes and preferences. Some of us like mellow and sweet, while others like strong and bitter. 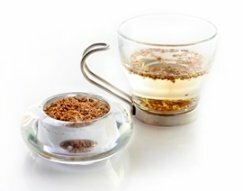 If you enjoy a soothing and balancing flavor, have a cup of chamomile or linden tea. With lemongrass or lemon balm tea you will get citrusy flavors. If you prefer sweeter teas, then licorice tea is your right tea! You won’t even feel the need to add sugar or honey. What about a spicy flavor to boost your metabolism? Then take a sip of ginger tea! And for all the fruity tea lovers, black currant tea and acai tea are waiting for you! Unfortunately, not all teas have great flavors. Valerian tea, for example, is considered rather unpleasant. But with the right balance of flavors and scents you can get all the health benefits of tea you need and experience a lovely cup of tea as well. The wonderful thing about the world of tea, as you have noticed, is all the possibilities it offers you – peculiar flavors, enchanting aromas or different brewing and temperature options. So while some teas are great when drunk hot, horehound tea for example, provides the best results for your sore throat if taken lukewarm. Others can be iced and turned into calming ice lollies when children are going through teething, such as catnip and chamomile teas. Experience the Benefits of Herbal Teas! 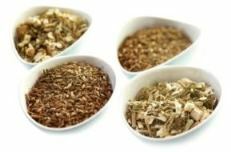 At Starwest Botanicals you will find a wide selection of herbs and teas from which you can brew the perfect cup. Find organic herbs that will suit your every need. Now that we have taken a look at the most common Herbal Tea Myths, you are ready to enter the world of tea and find your Right Tea!